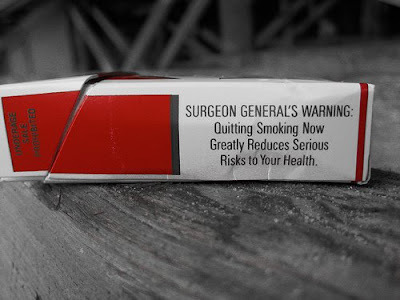 The Guardian: “A panel of top Wall Street bankers has recommended cigarette-style health warnings on complex financial instruments and suggests that ill-considered bonus packages may be encouraging financiers to take excessive risks”. How didn’t I think of this before? In my opinion this is truly ingenious idea which is long overdue. The risk return equation is truly one of the most basic yet most misunderstood concepts in finance. No return without risk is simple enough. But understanding risk is a whole other matter. What is investment risk, anyways? Is it the “value at risk” of an investment? Is it the volatility? Is risk lowered in long-term investments? All these questions have very complicated answers in finance and they are all correct in their own way. Some of these questions have been discussed in The Personal Financier and others will be discussed in the future. The fact is that very few of us know what lurks behind complicated financial instruments. Even the professionals failed miserably in the last credit crisis surprised by the sub-prime lenders behind seemingly secure AAA bonds. Are bonds truly less risky than stock? What about corporate bonds which have recently proved themselves ever so risky? Any sort of risk ladder, heads up or recommended investment term is blessed. The Guardian reports that behind this initiative is an industry-wide group of senior Wall-Street executives chaired by Goldman Sachs managing director Gerald Corrigan. The panel was also critical of how pay deals are put together, saying incentives had “inadvertently produced patterns of behavior and allocations of resources” that were inconsistent with “the basic goal of financial stability”. A very diplomatic way of saying risks didn’t really interest decisions makers. MBS (Mortgage Based Securities) could cause severe loss of capital. ARS (Auction Rate Securities) may contain hazardous debt. Short term stock investments offer worse chances than roulette tables. Derivative investmetns have been proven to induce divorce. Quitting day trading greatly reduces serious risks to your portfolio. I’d be very interested in some of your ideas for more warnings… I think I haven’t explored all the possibilities. « How to Invest Wisely In a Bear Market?